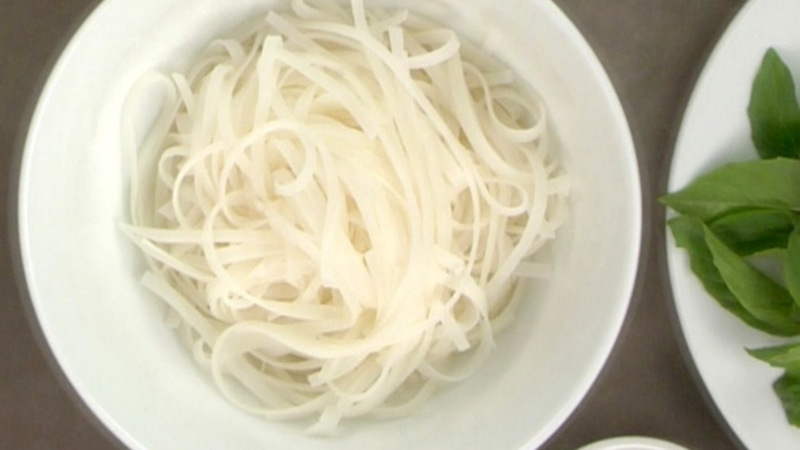 To prepare the noodles, in a medium bowl, soak them in hot water until soft (approx. 30 minutes). Check the noodles to avoid over-soaking. When soft, drain the noodles and separate evenly into serving bowls. First, prepare your mise en place. 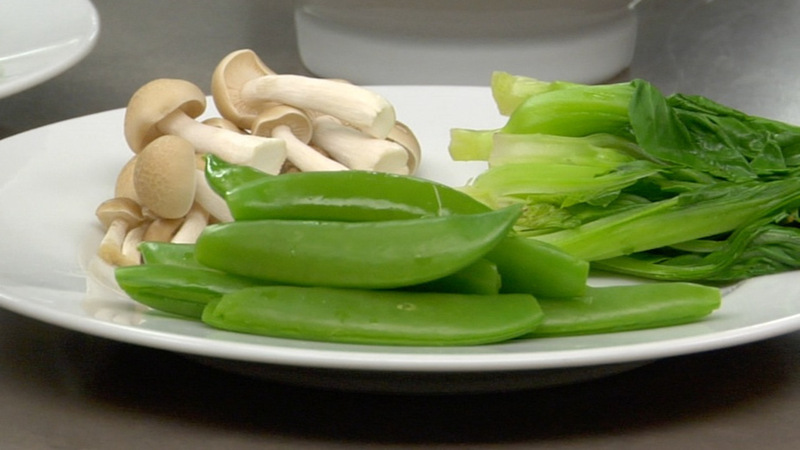 To prepare the vegetables, separately blanch snap peas, bok choy and mushrooms. Mushrooms may also be left raw according to preference. Evenly place vegetables on top of the noodles in each bowl. Prepare the garniture for serving and divide onto individual side plates. 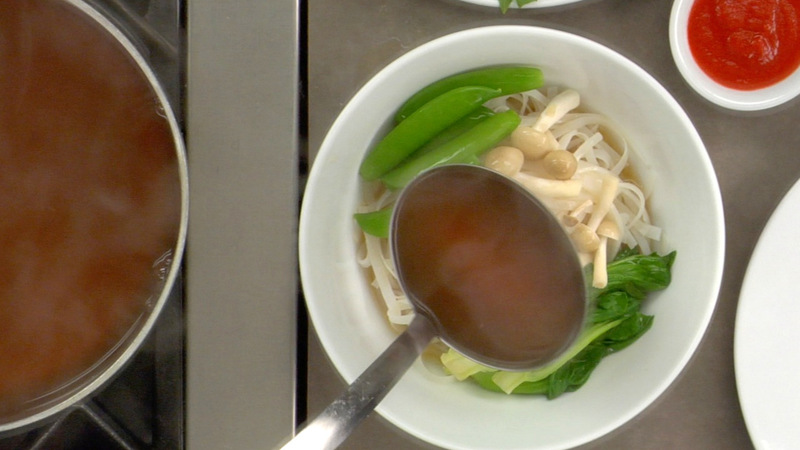 To serve the soup, heat the Pho Stock to a simmer and pour a generous amount over the top of the vegetables and noodles. 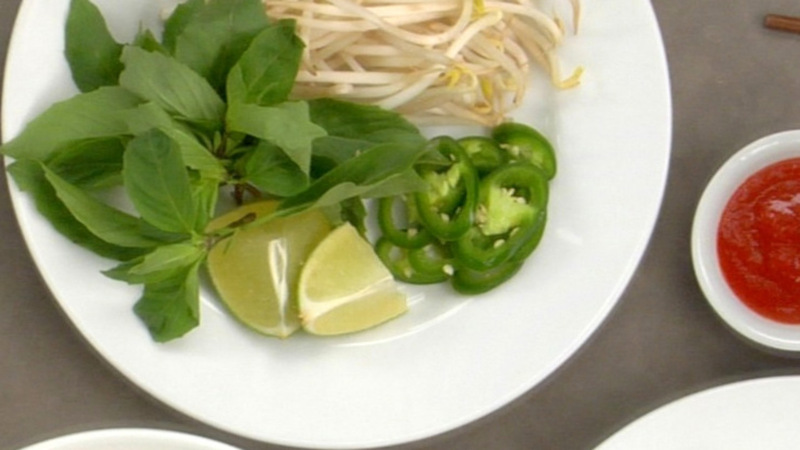 Serve with garnitures and optional sauces. AWESOME recipe! 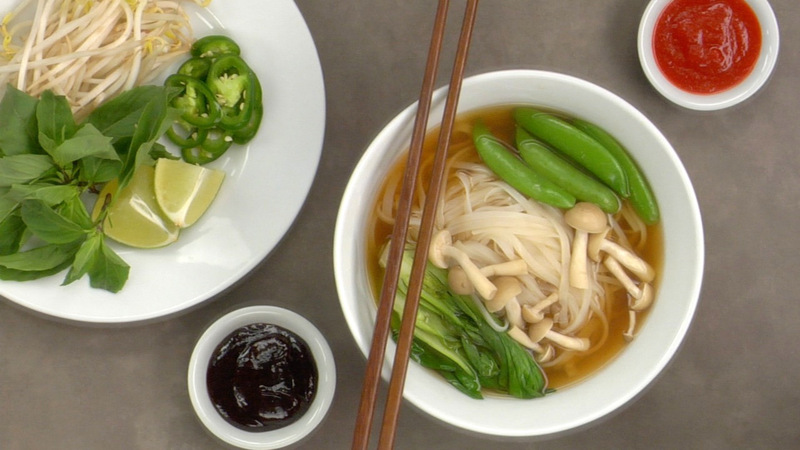 I have been eager to learn how to make a homemade Pho stock and this is absolutely sensational. However, I wish that the lesson was more transparent about how much it yields. The recipe says to use 7-8 cups of the Pho stock and the recipe made about 5 1/2 cups for me and says serves 3qt. Now I will have to make another stock as we planned on having this for a family dinner and the yield was much less than I anticipated. I am still happy to have learned this invaluable recipe but if you could make note of that I think future students would appreciate it!